This week saw the first staging of the !RM team challenge, and thanks go to Neil Simpson who made all the arrangements and organised entries. 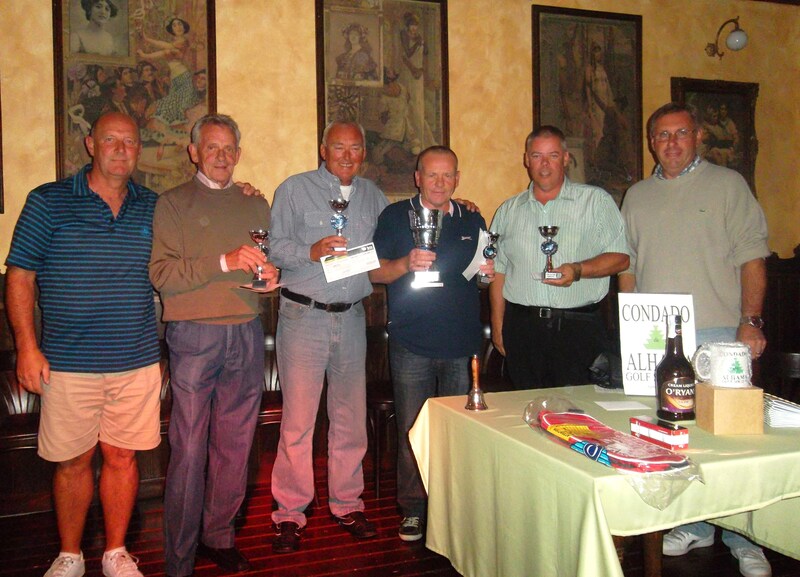 7 teams took part, with the best 5 individual stableford scores counting from each 6 person team. 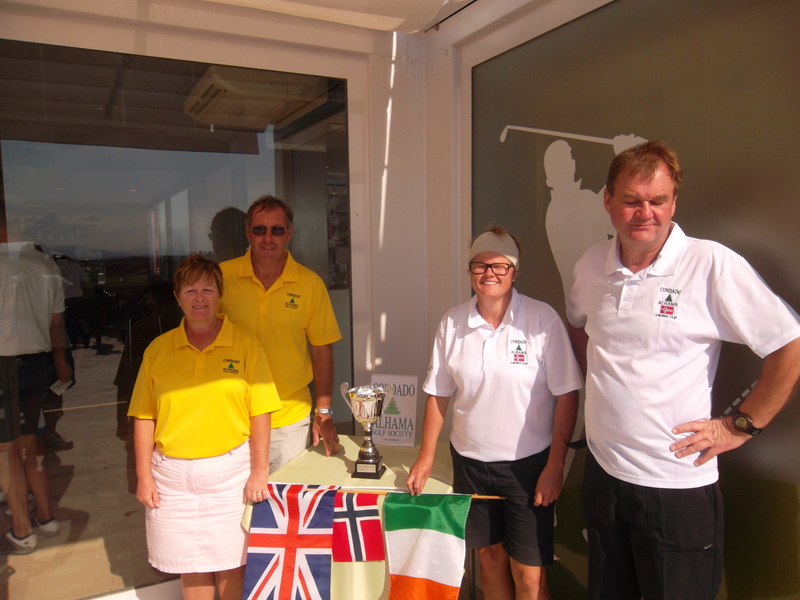 Neil managed to pick some excellent players to represent his own Clover team, and they managed to achieve the highest total on the day. 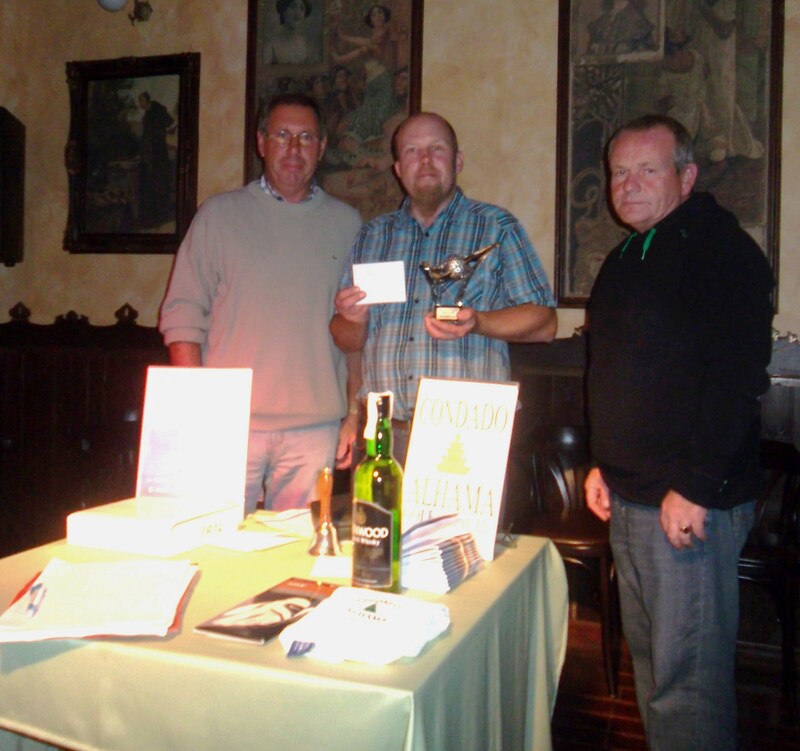 The best individual score was 42pts by Dave Storey of the Clover team. 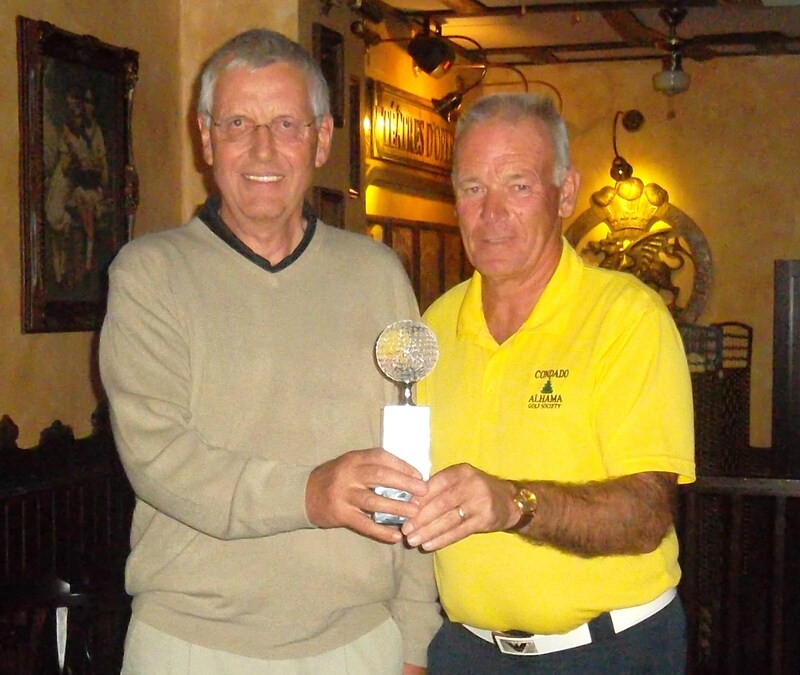 The longest drive was won by Paul Higgins (Hacienda del Alamo) and the nearest the pin prize went to John Smith (also Hacienda del Alamo). 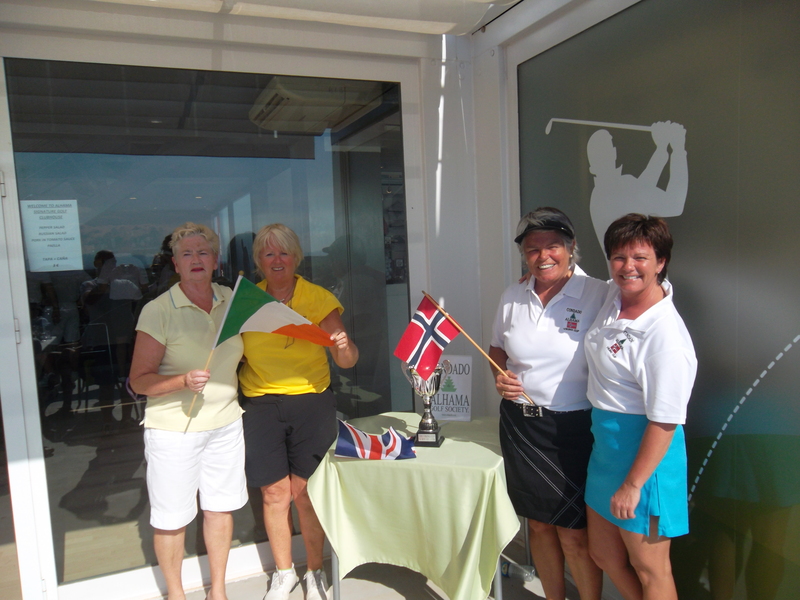 The presentation was made by our friend Ana from the golf reception on behalf of IRM. Thanks to them for providing the cup and momentos. 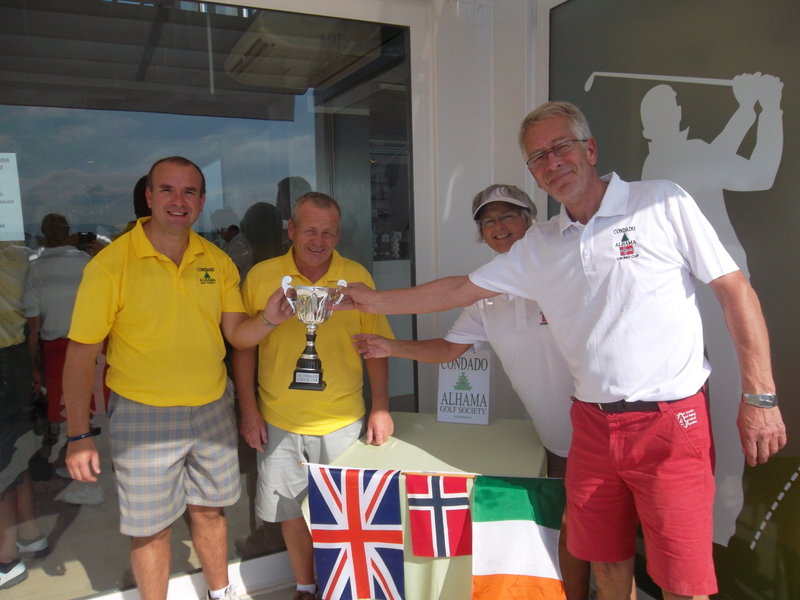 Kevin was the first winner of his own special event trophy, leading his team of relatively high handicappers to glory. 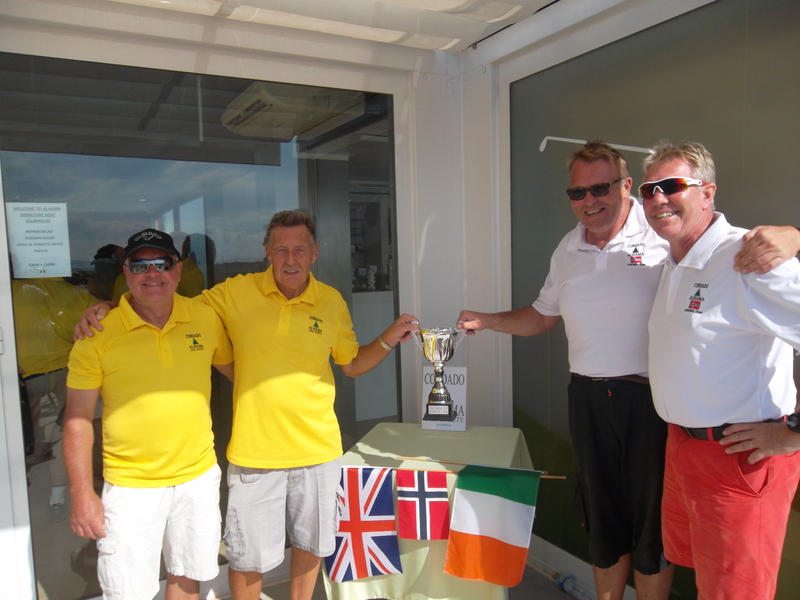 Also in the victorious team were Jim Alwell, Phil Tann and John Killeen. With 3 birdies and only one bogey on the card their combined handicaps just gave them the edge. 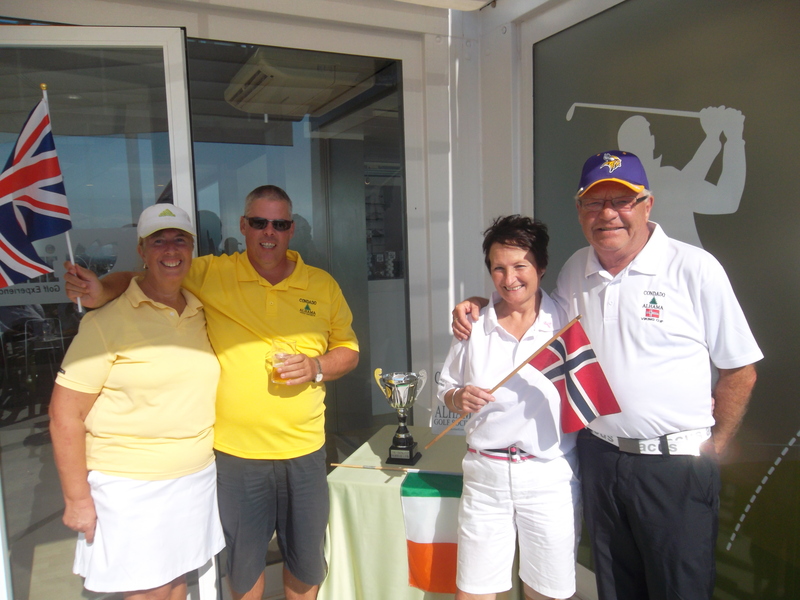 Unfortunately one team had to be disqualified with a very good score – they failed to indicate which players drive counted at each hole. The rule was that 4 drives must be taken by each player. This team marked down the player who holed out which was incorrect. 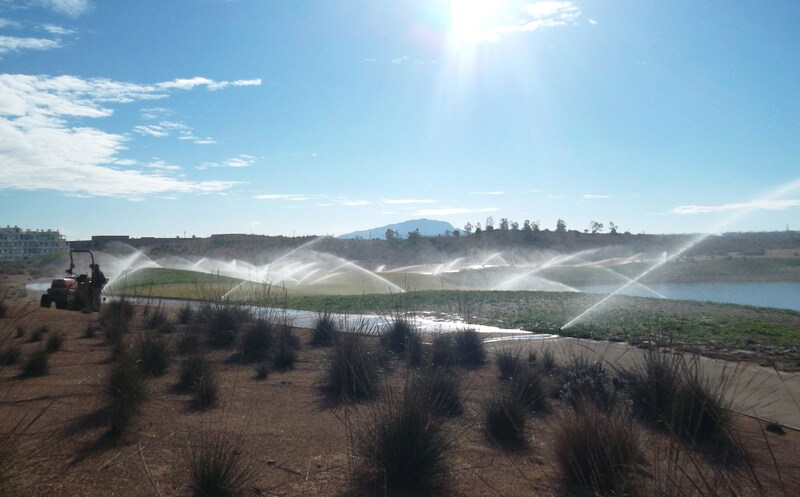 after the rains of the last month the rough is treated to a good soaking………………. 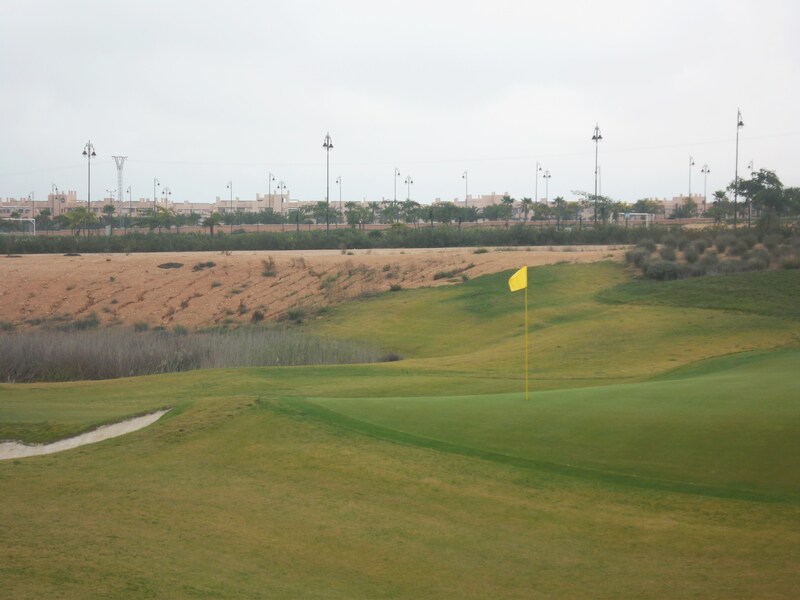 At the moment the focus on the course is on regrowing the long rough. I always thought it was hard to kill grass, but seemingly not. When the rough got to waist high in the first year of opening, who could envisage its survival being under threat? The lack of water this summer has affected its growth, and also traffic across it also causes damage. I was unaware of that, but it was pointed out to me by another member that buggies are not allowed in the long rough. I thought it was only seeded areas that were off limits, but after enquiring with the marshall it is in fact true that buggies are not allowed in the long rough or the waste sanded areas (tyre tracks are detrimental to the ambience of the course). I have pointed out to the management that if I as a member am not aware of this rule how can we expect visitors to conform? I suggested these rules should be posted on the buggies – then on examination I found that ONE buggy was so labelled. Many areas of the rough are now being reseeded, and also lots more of the ornamental grasses are being added to the course. It was nice to see that the free lessons for beginners were well supported. Last Friday the Global Golf professional Javier Garralon had 10 recruits, and on Wednesday this week there were 8 attended. He intends to have a presentation night in the near future explaining the rules of golf, local rules and etiquette to be observed as above. It looks as though this will take place early February, with the first presentation showing 60 slides concerning the rules of golf (2 hours) and the 2nd night will have 30 slides about the etiquette of golf (1 hour). Next week is an individual event but for a change it will be strokeplay where every shot counts. Mark the gross score and subtract slope handicap at the end. Tuesday will see our first open team event with a shotgun start at 10.00. There are 8 teams from as far away as Los Alcazares and Bolneuvo and there will be a trophy and replicas for the winners (6 players per team). We have drawn the November monthly members draw for 2 green fee vouchers. The winner is Frank Gallagher (808). Please claim by December 24th or the prize will be used again. 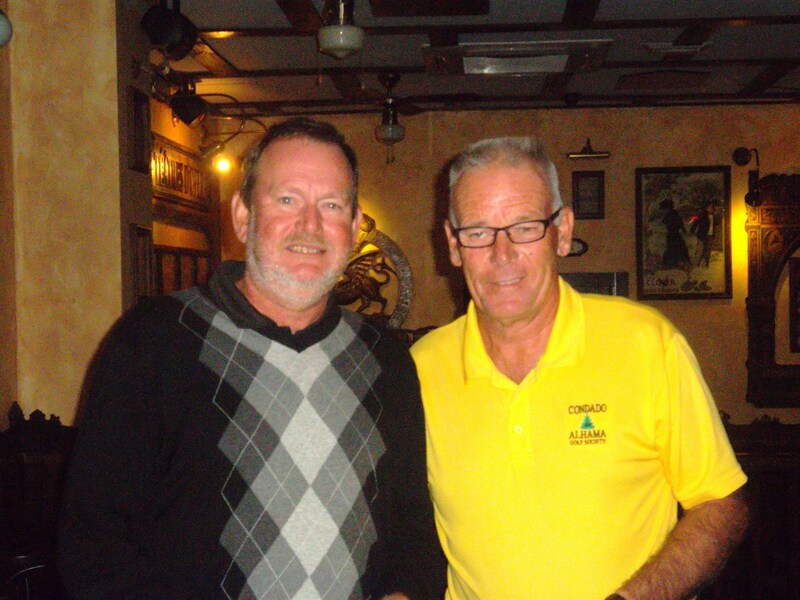 This week was the Apollo Air sponsored monthly individual stableford. The rains which were forecast did not arrive (again) which was a nice bonus, with mild temperatures and no wind. We had a good entry of 43 players which is up on the last 2 corresponding fixtures for the same week in November – 2010 (30) and 2011 (29). Brian was playing today, so thanks to Kim Lloyd who collected the entry fees and handed out the cards from the warmth of the clubhouse. 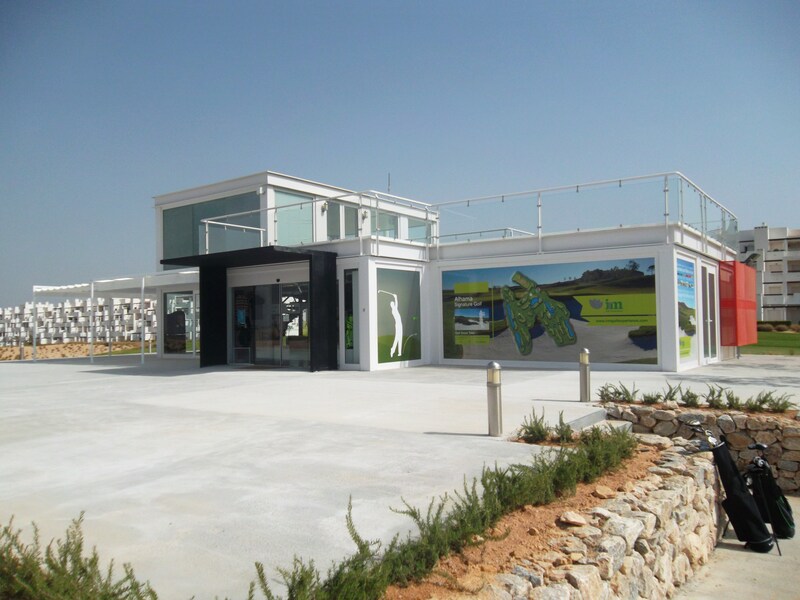 Just a reminder to players – please put your completed cards in the box at the back of the 18th green. In spite of the perfect conditions, only 3 players managed to beat par on the day. Perhaps pin positions like this on 13 were responsible – I was on the middle of the green in 4, then 10 yards below the green playing my 8th! With my first putt I had a channel to aim for about a yard wide towards the hole with a sharp incline each side and disaster beyond! I played with John Pitman, the captain (Kev) and Mick Parsons hoping to get another story and even a picture. When John went into the lake on the 5th he refused to go down the bank with his with his rescue club (ball retriever) even though it was easily in reach. Kev minced around with his legs close together to avoid a repeat of last weeks ripping yarn. Mick tried to repeat his feat of putting his tee shot from 12 into the penthouse swimming pool but only just missed! .Kev seemed to acquire a swing coach on the way round. A wasp stuck close to him for practically the whole round and some of his swings at it were his best of the day. Whatever it was whispering in his ear obviously didn’t work as his 26 point score demonstrates. On the subject of wasps, I have a question which I would like the answer to: we had a wasp flying around in our buggy, but when we drove off at 20 mph it stayed within the cabin with no apparent effort. Is it in a different time zone? I could understand it if it was sat on the steering wheel, but coming along with us while buzzing around defies the laws of physics! 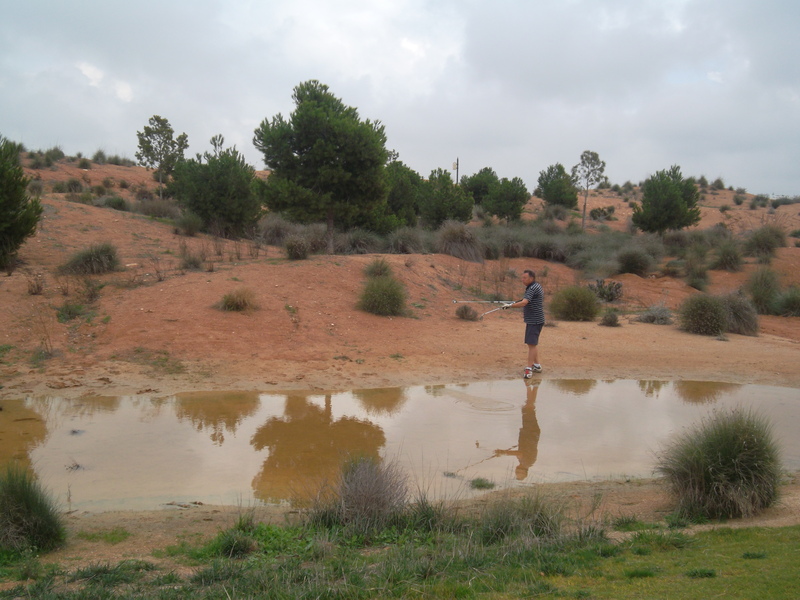 After saying John refused to go in the lakes, this newly formed one on the 16th attracted his water diviner…………. Next week is the Kevin Smith 4 person texas scramble. There will be a trophy to be won, and the 4 winners will receive personal momentos. 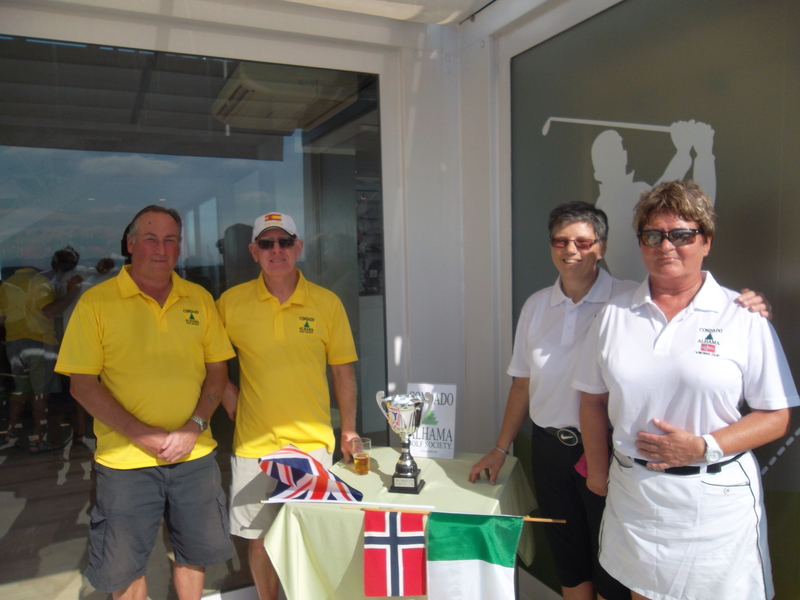 Just a point to mention to all those golfers who don’t win every week – there is a draw at the presentation for non-winners, but they must be present to win. Come along and support the society and have a consolation drink! Prizes are various, with society towels, caps, mugs, bottles of spirits and Clover drinks vouchers amongst other items to tempt you. Also the weekly domino card is drawn immediately and is worth 20 euros. photo on front cover of the 2013 diary………………………….. Pick up your copy next time you are over………………. Go to the ‘fixtures’ tab at the top or bottom of the home page you will find all next years competitions. 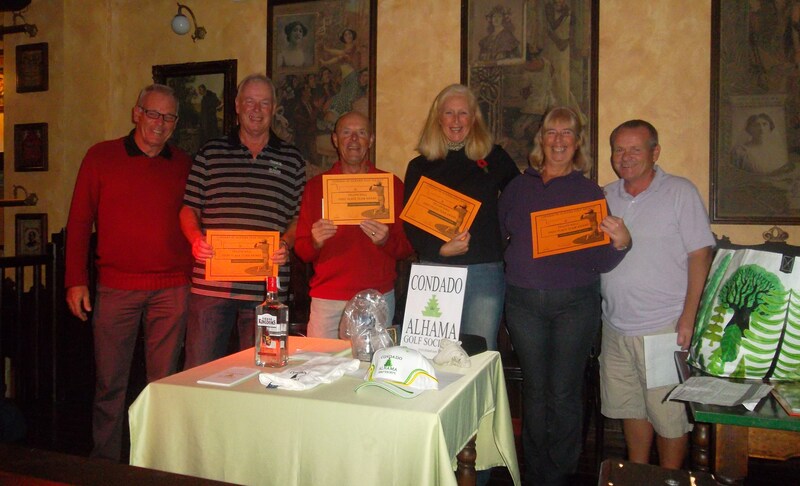 the winners with their certificates……………………….. 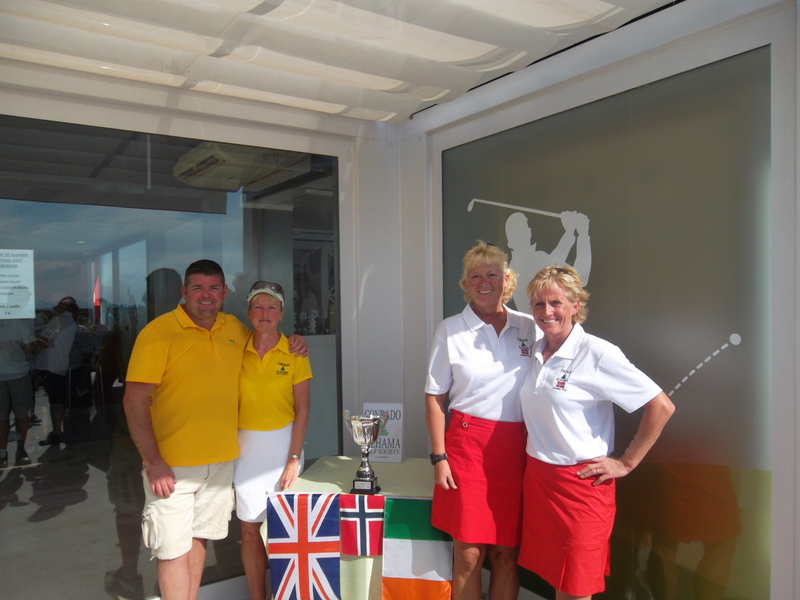 This week we had 7 teams (28 players) in the yellow ball competition (yellow ball plus one other score to count). We were lucky with the weather, with rain for 2 days previously and more to follow during the presentation. Many players thought it was still summer, donning shorts and short sleeved shirts in the overcast and cloudy conditions. Me being spanish I dressed like the greenkeepers, with trousers, shirt, pullover and fleece, topped off with a snood to combat my first winter cold. It shows what the weather was like when no one sat outside the clubhouse afterwards, and the lack of seats inside was obvious. 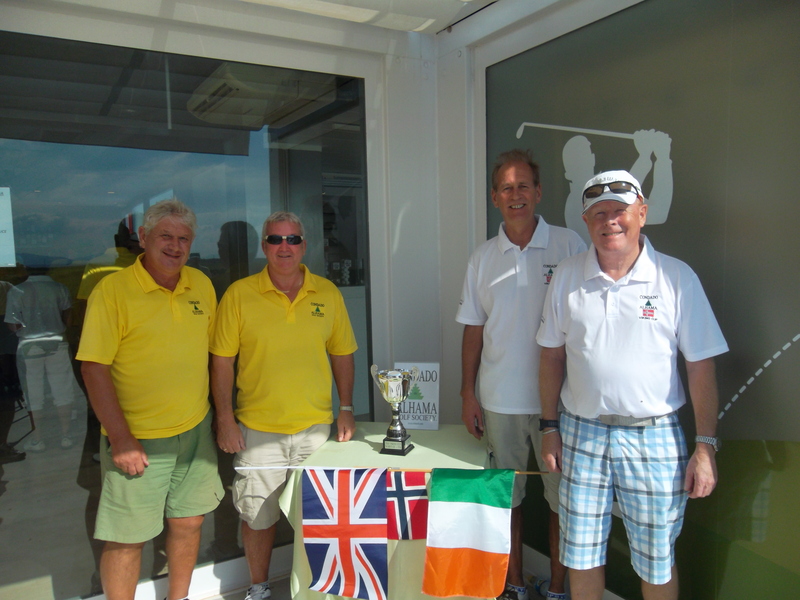 On Wednesdays and Fridays the society have negotiated a 20% discount on drinks in the clubhouse – a pint is 2.20 euros. Just be aware though that the barman was asking to see your yellow membership card before giving the discount. It doesn’t seem to be a problem when Juan is on duty. 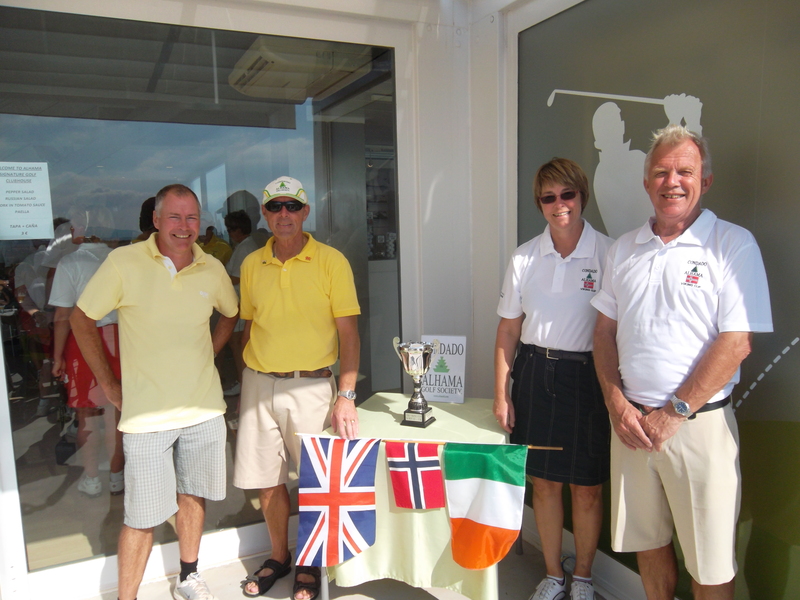 The scores were quite close but it was the high handicappers who won this week. Maybe the tee positions were very kind with several yellows off the ladies tees, but saying that ladies were still in the prizes despite giving up their advantage. 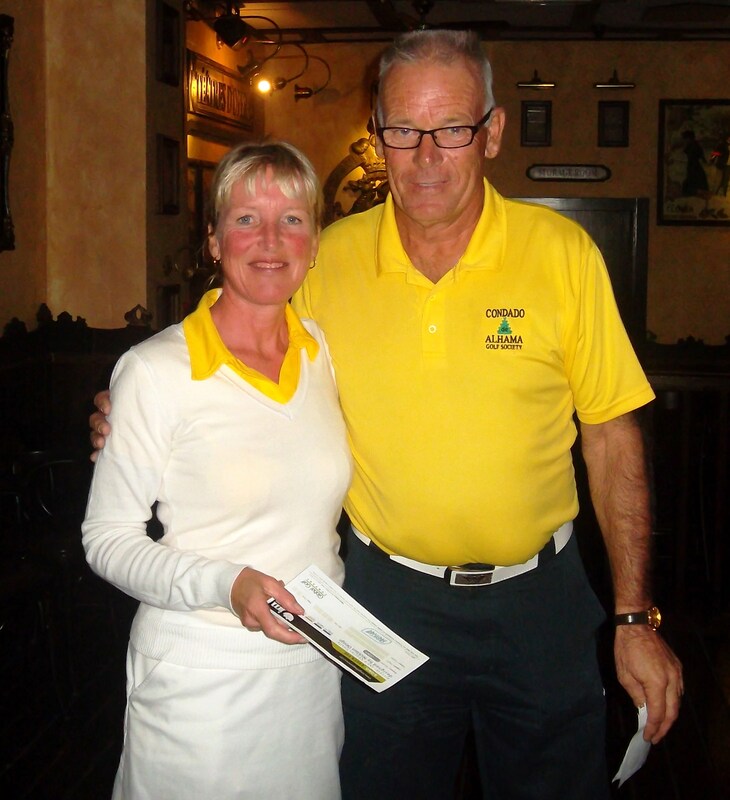 Lesley was over the moon at her win and everyone in the bar were left in no douby that she had played well! 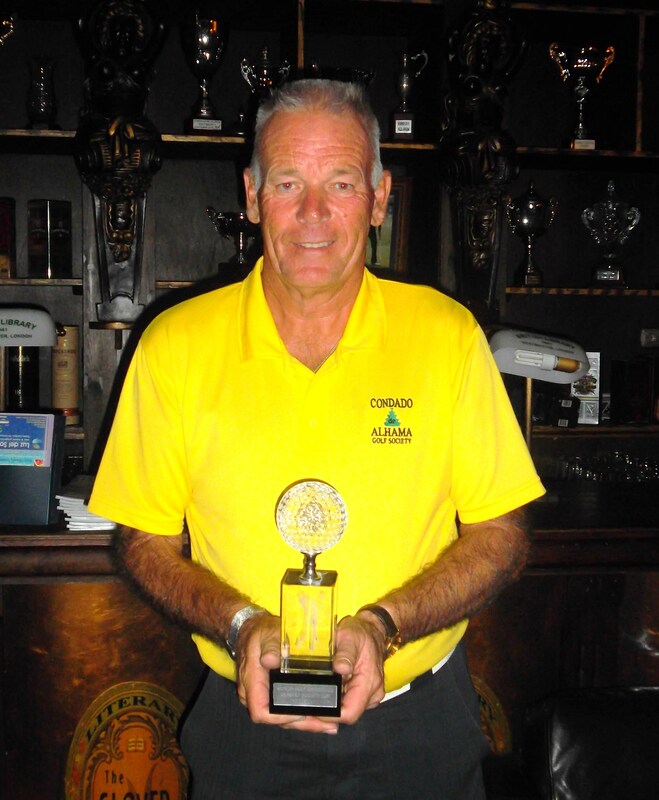 One exception was the 11th over the water, with the yellow tee as far back as I have ever seen it..
John Pitmans’ games usually have something to comment about – this week it was his partner captain Kev who made the news, slipping down a bank between holes and splitting his shorts! So next week I am going to play with them both and maybe get some great photos! 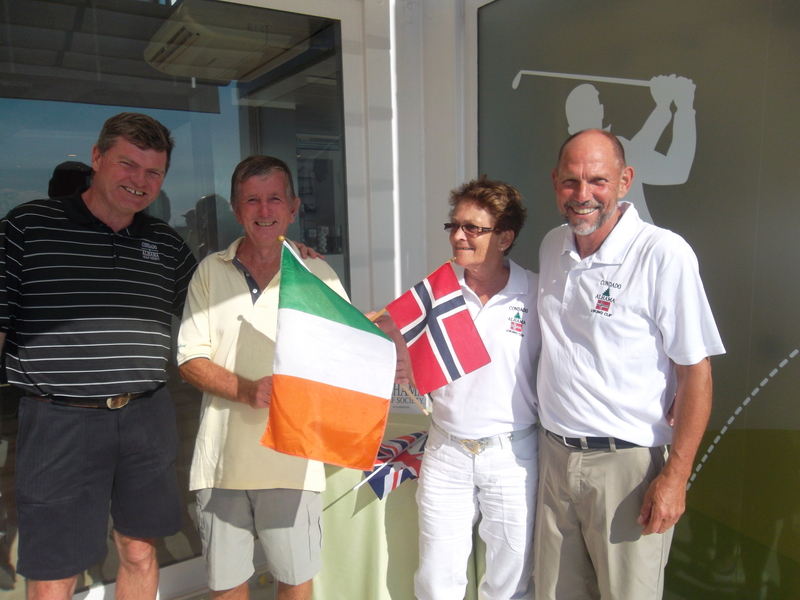 Last week I reported that Fred Twomey achieved a hole in one on the 11th. On the same day, Paul Harrington also holed out on the 11 with a 4 rescue wood. Well done Paul, both your trophies are now available for collection. Just checking the members page on the website and see that we have already got over 800 members, with nearly 5 months to go before the end of the membership year (March 31st 2013). We also have had many guests this year (non-residents) who would have been members under last years’ entry regulations, so it shows that the society is continuing to grow. Next week is the Apollo Air monthly individual stableford. Here are more photos of the teams and pairings from the Viking Cup. 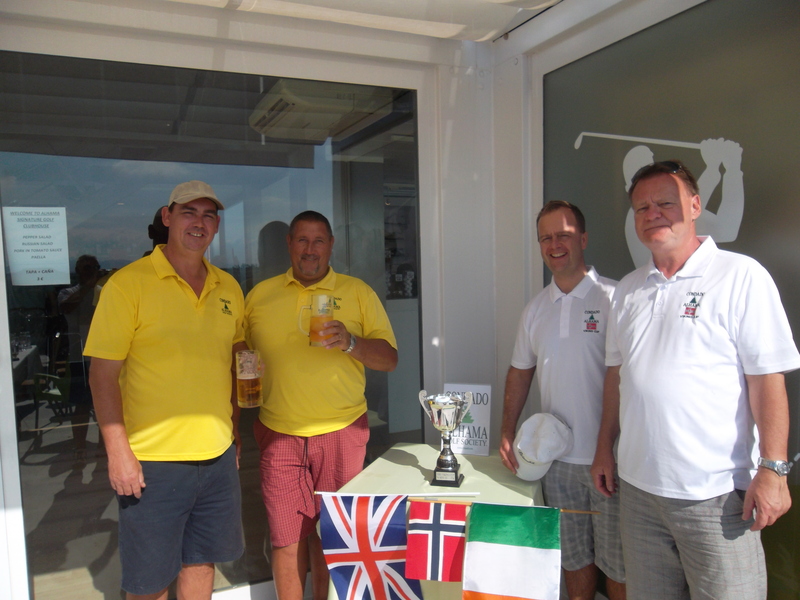 This was the 4th match between the 2 teams – previously Mar Menor had one victory, Condado also one and one game halved (we retained the trophy last year in a tied match). 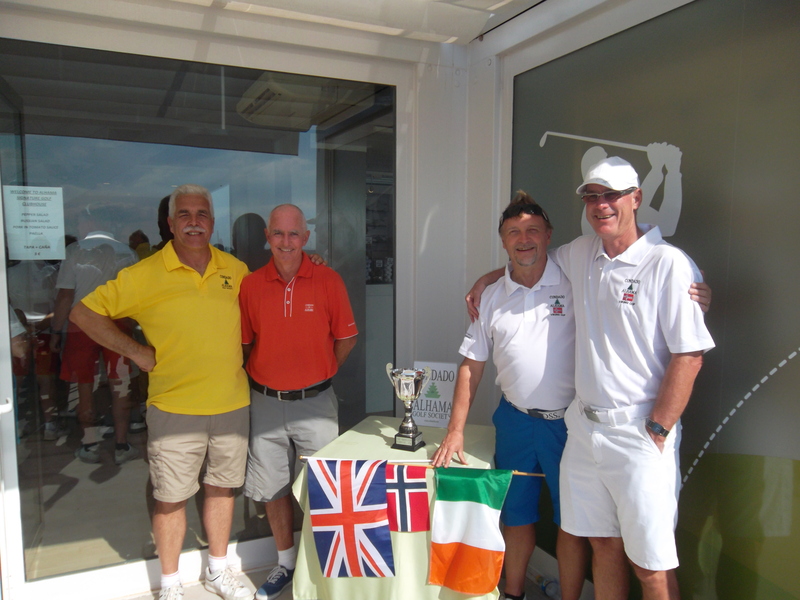 Again it was close, with Mar Menor taking an early lead in the 7 matches. However, Graham put his strongest teams out last and the tactic paid dividends. Being behind at game 4, Neil and Les levelled the scores in game 5, and Kim and Dave put us 3 up in the penultimate match (each hole won gained one point). Everything depended on the last match with Condado needing to either win, draw or lose by no more than 2 holes. Paul Briggs played out of his skin and I helped him a bit to win our match by 6 holes. So Condado retained the trophy by 51 to 42. 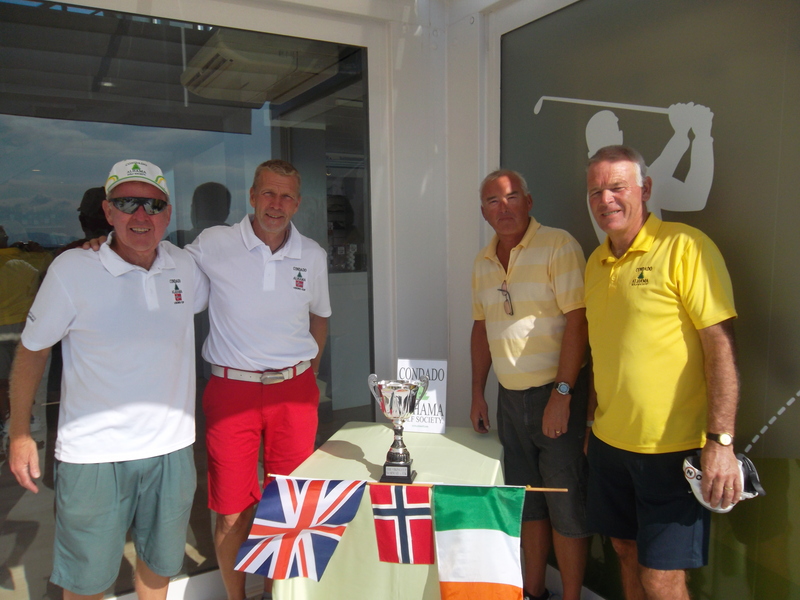 The number of matchplay wins did not contribute to the scoring but it was 4.5 to 2.5 to us (after the matches were won teams continued to try to win holes so the byes did count). 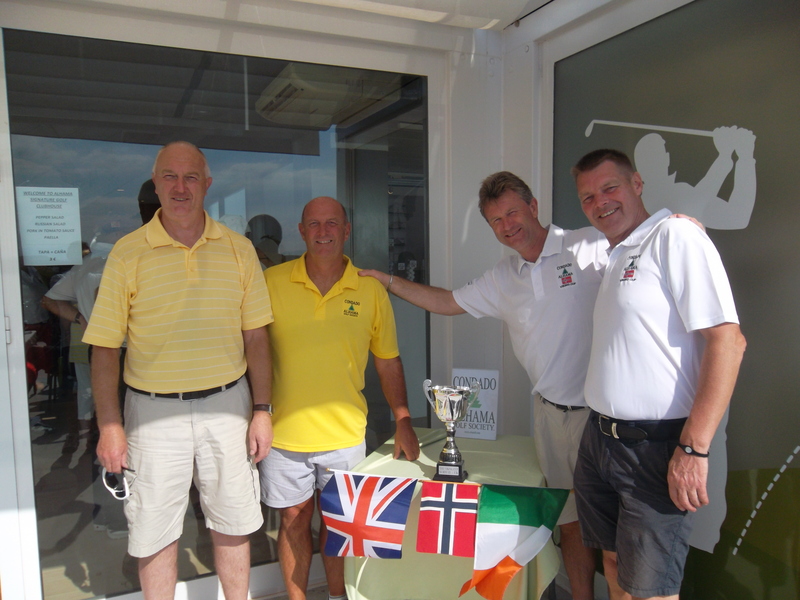 There were also prizes for longest drives and nearest the pin sponsored by Global Golf. 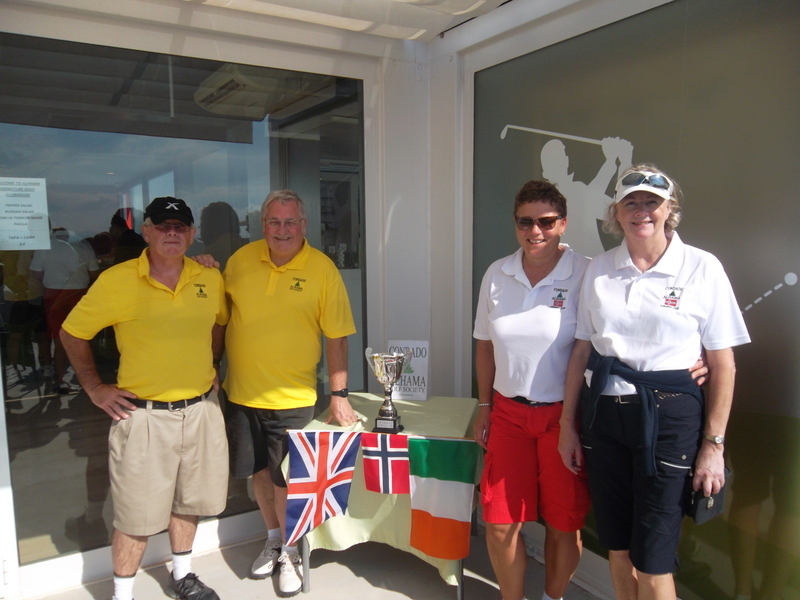 Dave Lloyd had the longest drive, Kim Lloyd was nearest the pin on the 3rd and Dave From Mar Menor was nearest the pin on the 17th. 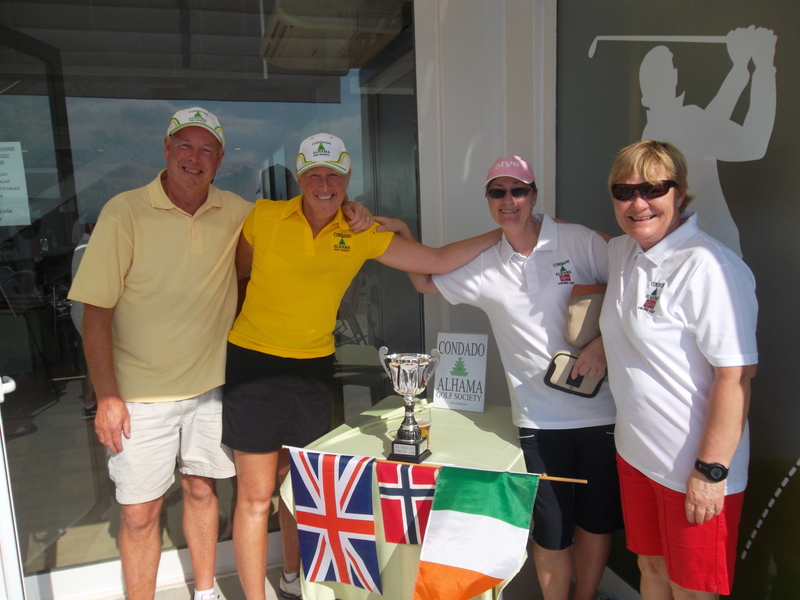 > Dave had the longest drive………………..
Kim won the ladies nearest the pin…………….